Travelling solo as a woman is no longer associated with uncomfortable situations and lonely trips, but hailed as a haven of indulgence as you take time to focus on yourself, meet new people and gain new experiences. With our healthy a singles holidays for the over 30s, take a break from the commitments and responsibilities of everyday life and embrace doing exactly what you want to do with your holiday. Re-centre yourself with group yoga in Ibiza, hike through the mountains of Utah or pamper yourself with holistic spa treatments in Thailand; the solo holiday world is your oyster. 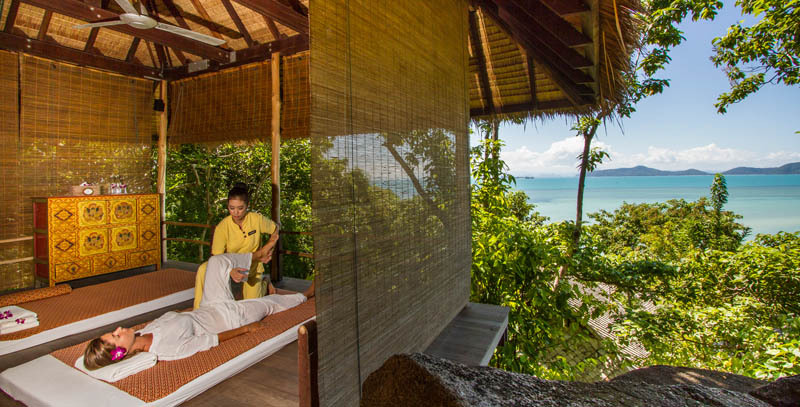 With an emphasis on physical fitness and emotional well-being, the tropical paradise of Kamalaya offers the suitable wellness retreat for single female travellers over 30 wanting to boost their health and reflect on their lifestyle. 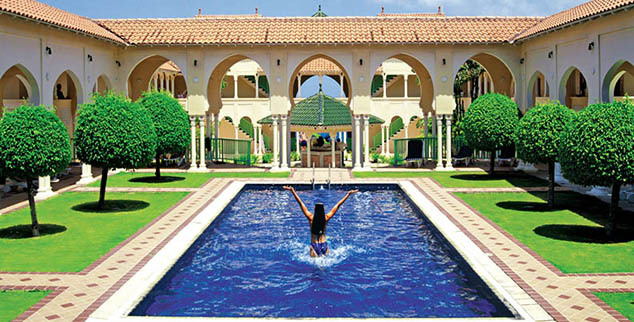 Disconnect from the stresses of modern life and embrace the opportunity to focus on you on an amazing holiday, with tailor-made wellness programmes from yoga and sleep enhancement to fitness and weight loss. Share your singles detox holiday experience with other female travellers at the communal dining area as you are treated to tasty nutritious cuisine. Continue your wellness education with healthy cooking classes, holistic spa treatments, group fitness classes and cultural tours. 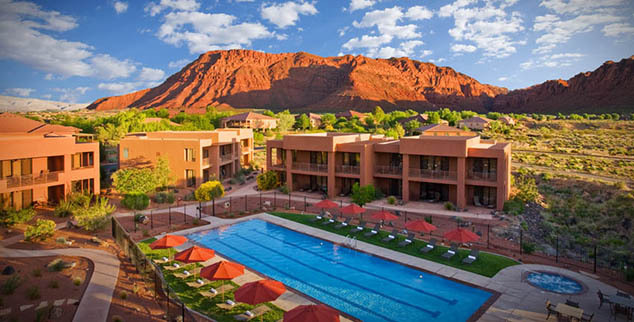 For single female travellers over 30 in search of an adventure holiday, escape to the stunning Red Mountains of Utah. Explore the magnificent beauty of the Red Mountains on a guided hike or mountain biking expedition and find that whilst travelling solo, it is much easier to re-connect with your inner-self and with nature. For ultimate wellness restoration, awaken your senses with an aromatherapy massage or unwind with a warm stone massage in the peace and quiet of the Sagestone Spa and Salon. With more than 50 group fitness classes, join in with anything from kickboxing to Tai Chi and return home happier and healthier. 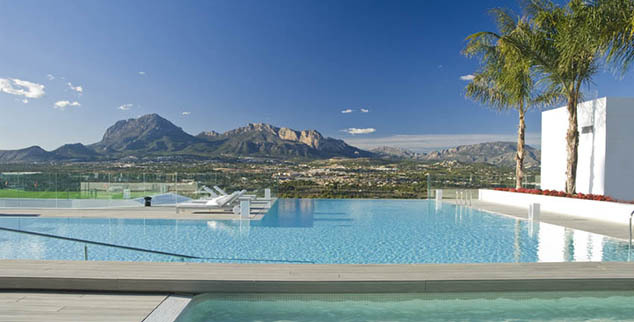 For a complete healthy lifestyle overhaul, SHA Wellness Clinic in Spain is the place to start. Embrace their positive motto to “Be a Better Version of Yourself” and discover a healthier lifestyle with the outstanding support and advice given by SHA’s nutritional consultations, medical check-ups and informal health lectures. Being an adult-only health retreat, the modern and sleek SHA is popular for solo female travellers over 30 looking to relax on a singles spa holiday free from children. With an array of wellness holiday options, tailored to tackling sleep issues, weight management, smoking addictions and more, SHA is an amazing holiday destination on which to kick-start lifestyle changes. You never have to travel alone at this welcoming solo-friendly Caribbean getaway, a great option for an all-inclusive retreat that has it all. The month of September is dedicated specifically to single travellers, whilst year-round features such as the hosted singles table every evening meal ensure a loyal following of solo travellers throughout the year. Keep active alongside fellow single ladies over 30 on a singles fitness holiday with complimentary land and water sports, from tennis to yoga and cycling. Make the most of ‘me-time’ with inclusive daily spa treatments and discover a glowing sense of holistic well-being. Escape to the tranquil wellness retreat at Lefay, located in the picturesque village Gargnano on the magical Lake Garda. A relaxing refuge for singles seeking a luxury spa break, Lefay offers a peaceful and quiet atmosphere for you to enjoy time to yourself. Indulge in a comprehensive selection of spa treatments from invigorating body scrubs to personalized phytotherapy. Take a guided walk through the therapeutic gardens, or up the pace with an energetic group class. The beauty of Lefay is the freedom to act as you desire, so socialise, or don’t socialise, it’s up to you on your bespoke wellness retreat. Talk to one of our Travel Specialists on 1300 551 353 or contact us here to discuss tailor-making your perfect singles holiday.